This weekend marked the debut of the first Marvel attraction to open in a Disney theme park since the 2009 acquisition of the legendary comic company. 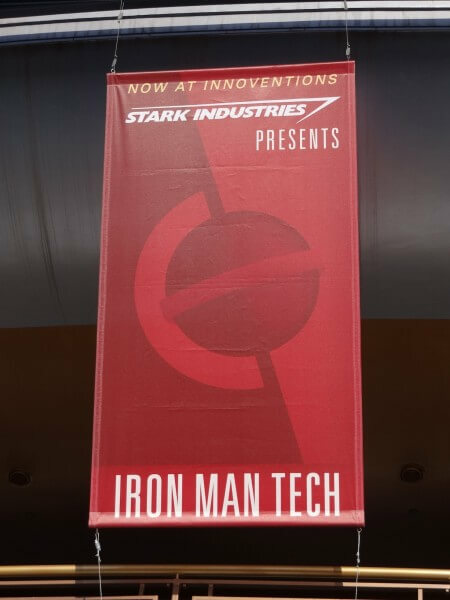 “Iron Man Tech Presented by Stark Industries” is the name of the exhibit housed within Tomorrowland’s Innoventions. 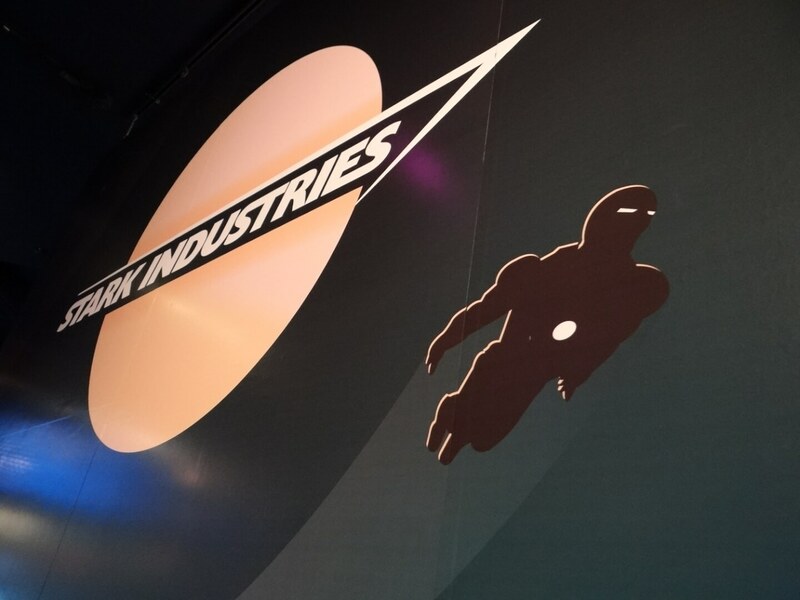 It’s not a ride or a show, but just a taste of the type of unique experience Disney could be cooking up for fans of the classic Marvel superheroes. 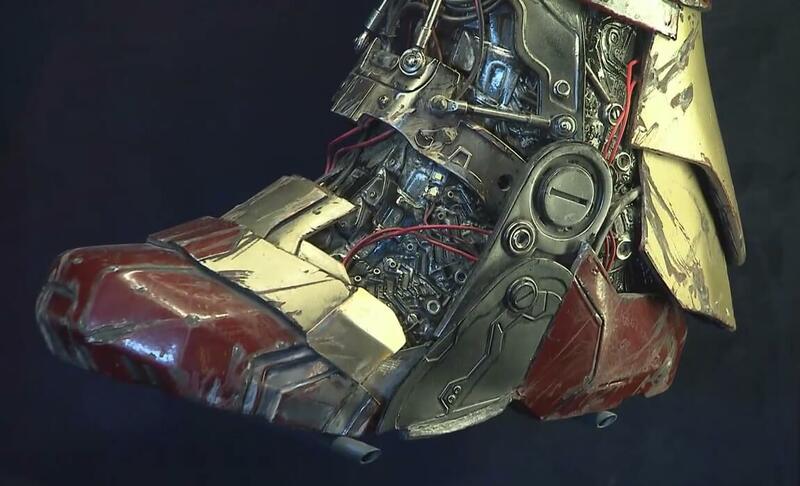 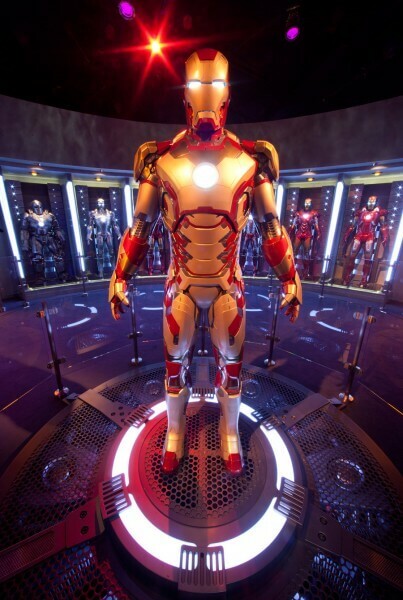 Iron Man Tech Presented by Stark Industries has two parts, Tony Stark’s eye catching Hall of Armor and an opportunity for guests to virtually “suit up” and see what they’d look like wearing that famous red and gold outfit. 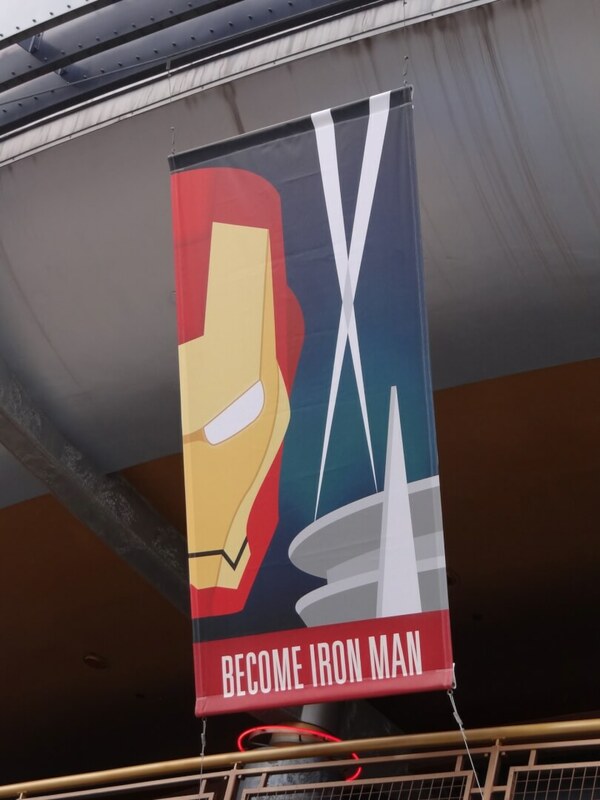 Banners line the exterior of Innoventions giving it a bit of a Marvel makeover. 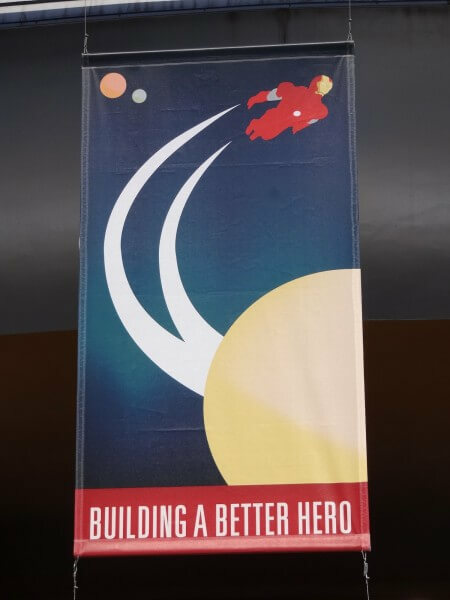 It’s certainly doing the trick, drawing 30-60 minute wait times to enter the building – normally unheard of for the regular Tomorrowland attraction. 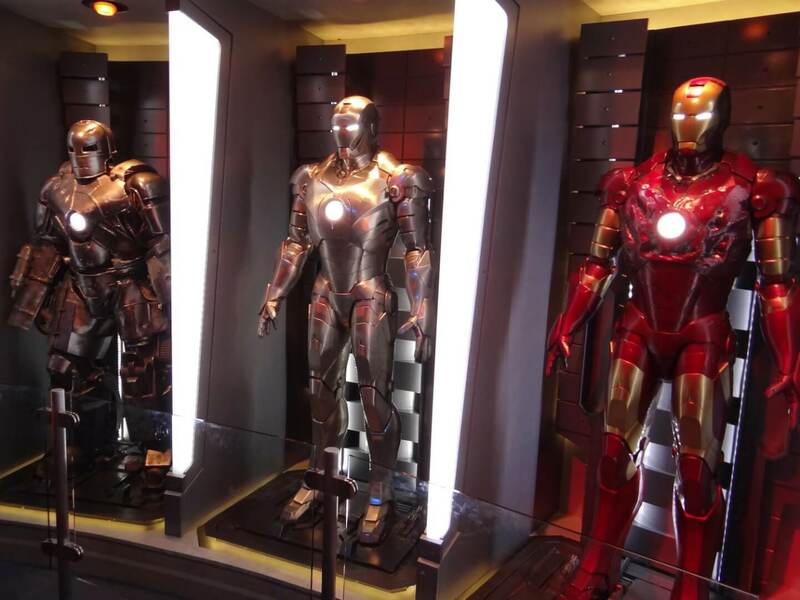 It’s clear Marvel’s presence at Disneyland is already a big draw. 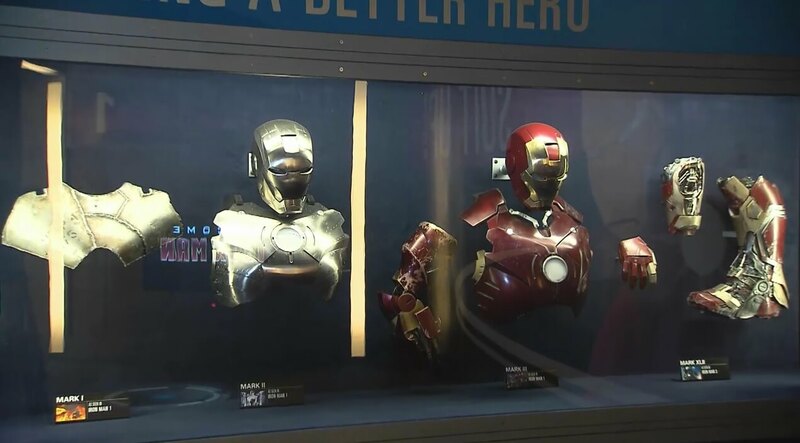 Tony Stark’s Hall of Armor features Iron Man suits Mark I-VII as well as the new Mark 42 suit, all in promotion of the upcoming film “Iron Man 3,” opening in theaters on May 3. But unlike at Comic-Con where the suits were up on a stage with limited access only for a quick photo op to those who waited in long lines, Disneyland is letting guests get up-close with each costume. 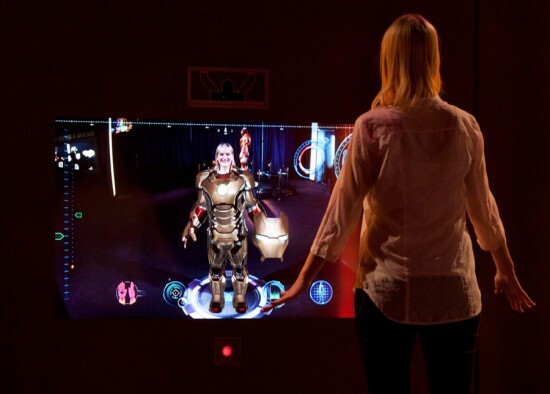 Beyond the Hall of Armor, a pair of interactive displays allow guests to move their bodies around while watching pieces of the Iron Man suit fly onto them, culminating the ability to virtually fire its repulsor blasts. The huge response to this rather simple exhibit is surely being noticed by Disney, who are developing other much larger Marvel attractions behind the walls of Imagineering. For now, Iron Man Tech Presented by Stark Industries is the closest Marvel fans can get to becoming part of that universe in a Disney theme park, available to see at Disneyland through September. 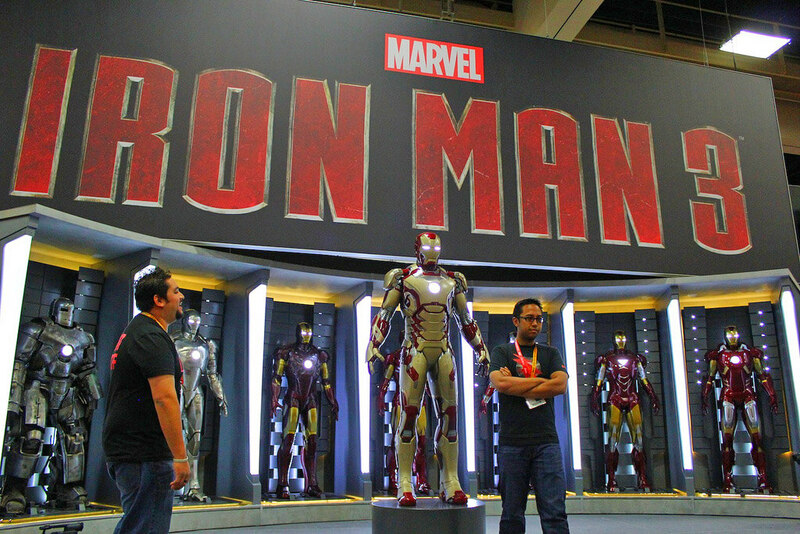 He, he! 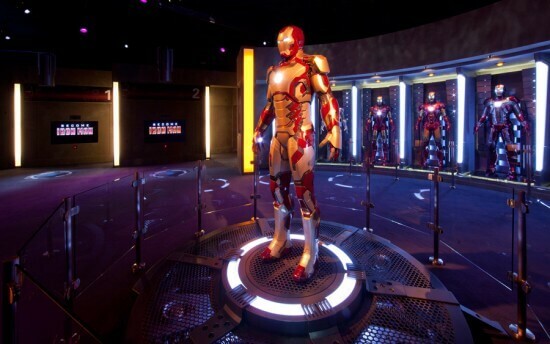 My family might finally have a reason to visit Innoventions! If I had an IronMan suit I would fly to every Disney Park in one day. I would break the world record and they’d have a parade for me and then I would get to meet Mickey and the rest of the Fab Five. 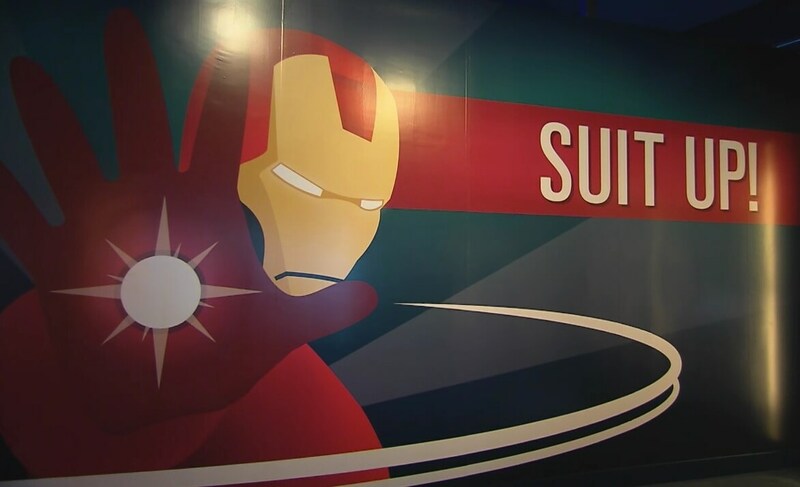 That would be the fastest suit ever! Now people will actually go to Inoventions….THE ONE TIME I WANT IT ALL TO MYSELF.